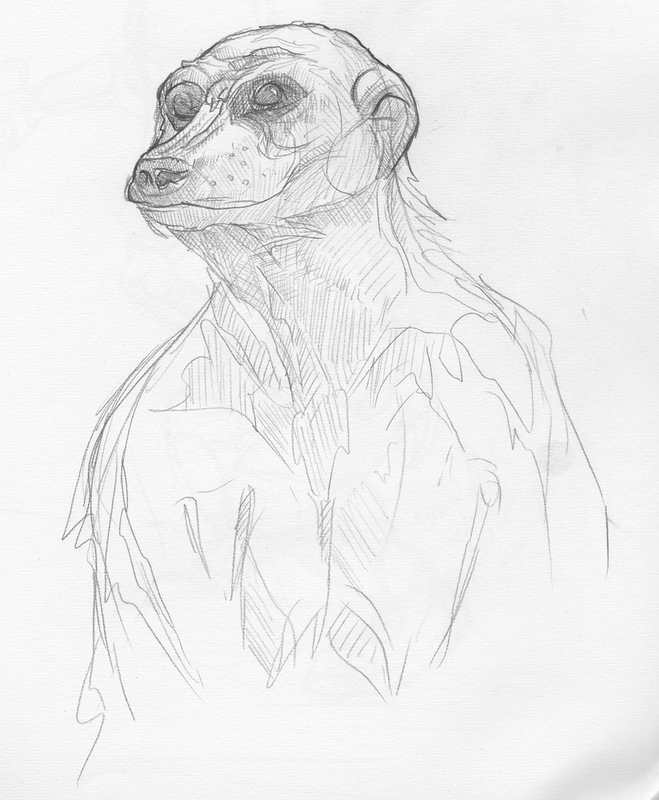 It is a Meerkat Portrait. It was drawn in pencil. I think it turned out all right. This entry was posted in Scanned Desksketch and tagged mammal, Meerkat by Anthony. Bookmark the permalink.